A city blended with spiritualism and scenic beauty of the Lush green valleys, snow-capped mountains and splendid waterfalls. The towering abode of Lord Vishnu is the major attraction of this place. The shrine is located at a height of 3133 metres above the sea level and in the Chamoli district of Uttarakhand. 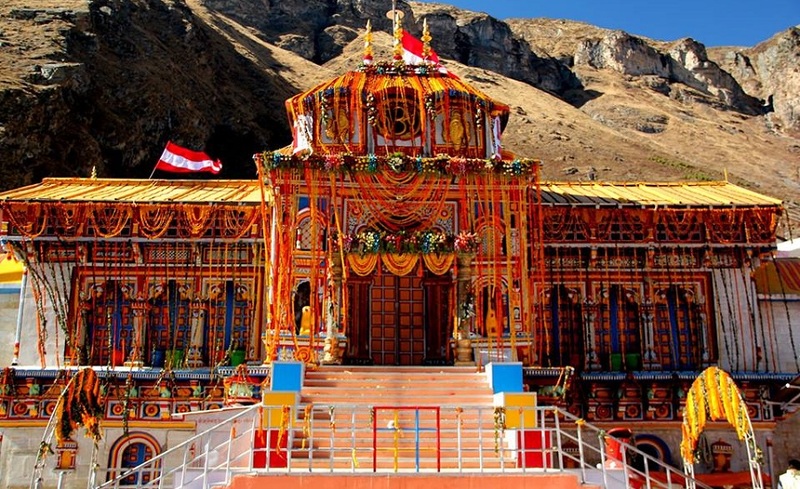 Badrinath is one of the holiest shrines of Char Dham Yatra. There are several legends behind this pilgrimage and each one adds more glory to the beauty of this place. The gushing sound of the water flowing between the rivers and incredible landscapes are some other attractions enhancing the beauty of this beautiful city of Uttarakhand. The state is a home to many shrines, eye treating waterfalls, evergreen lakes, trekking spots accompanied with several other adventurous activities. The tourists who visit this place gets spell bound experience from the splendid views of the natural sceneries. One can enjoy the beauty of this Char Dham Pilgrimage from a great height by opting for Badrinath Helicopter Service offered by several companies. Dating back to the Vedic ages the origin of this temple is associated. The temple is situated at an elevation of 3133m and a 15m tall black structure is settled amidst the slow clad mountains. This ancient shrine is dedicated to Lord Badri (Vishnu) and so called as Badrinarayan temple. The main entrance of the shrine is painted with multitude of colors which gives a proper treat to the eyes of the pilgrims. Due to the insane chilled weather the shrine is closed during winters and the idol is taken to Joshimath. There is a ritual to take bath in the Tapt Kund (a hot water spring) before going for the Darshan at the shrine. The last Indian village on the Tibetan side which is located at a distance of 3 km from Badrinath. On one side of this small and mesmerizing village, Saraswati, a Hindu holy river flows and makes this place so natural. Uttarakhand government has declared this village as “tourism village” after looking at the number of tourists flocking at this place. This sparking village is a hub of adventurous activities including trekking trails. Tourists come to pay their homage at the shrines of the village and so is the village a perfect spot for mythological and history enthusiasts as well as adventure enthusiasts too. 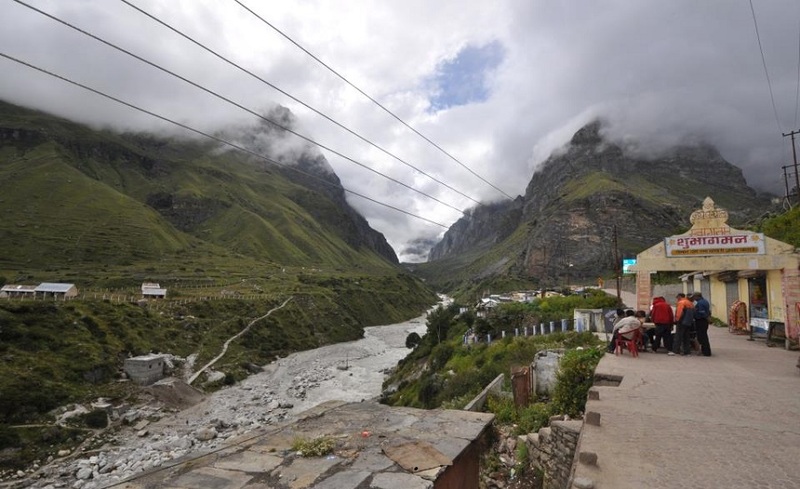 There is a small village located at a distance of 3 km from Badrinath named Mana Village. 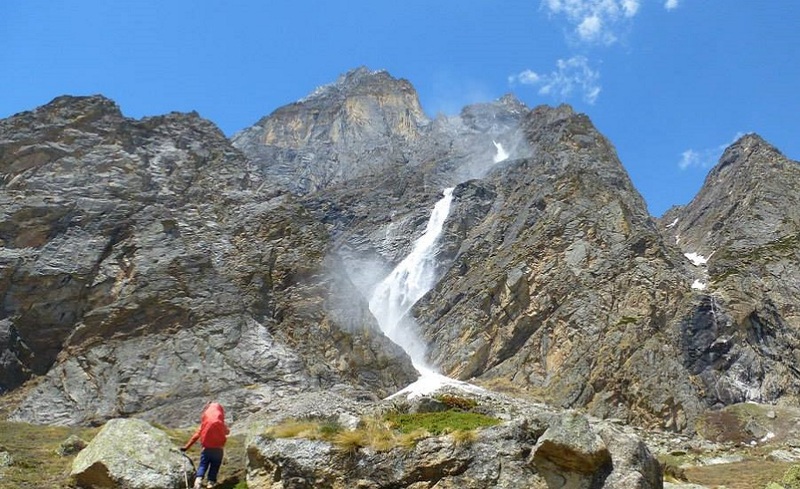 The village holds many picturesque sights including Vasudhara Falls from where the splendid view of mountain peaks, glaciers make the village special. There is a saying or belief that a person who is not of good heart or has done sins cannot witness the falls as the waterfalls move away from their side. The water falls from a height of 400 feet above the sea level. 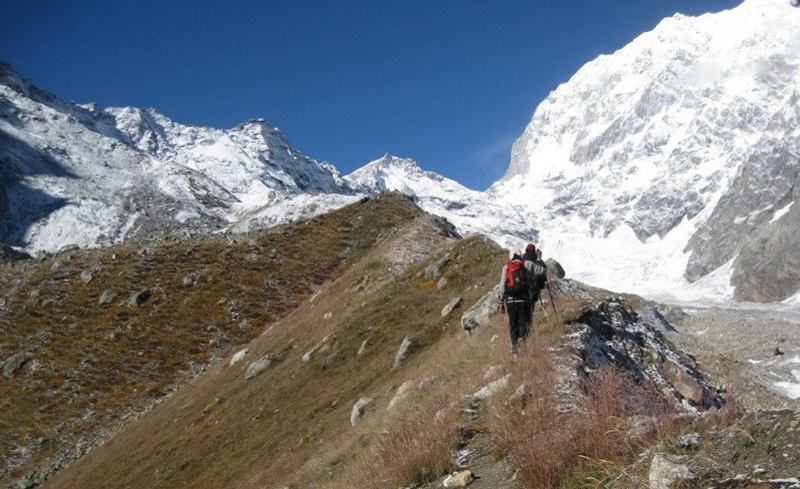 You can enjoy the trek also from here but be aware that after reaching at some height the trek becomes quite difficult. If you are fed up with the hustle and bustle of your busy life then you can plan your trip to a lake triangular in shape which is located at a distance of 30 km from Badrinath and 25 km from Mana Village. This splendid lake is settled amidst the lush green Garhwal Himalayas which increases the grace and tranquility. The place holds several hidden treasures and is an untouched place. 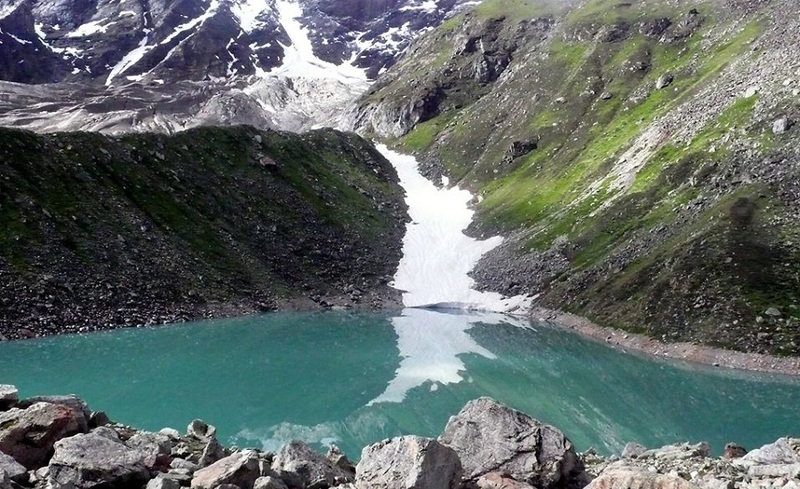 The crystal clear lake originates from the Satopanth Glacier and is very popular trekking destination in Uttarakhand. This is the place where Lord Mahesh, Vishnu and Brahma meditated at the 3 different corners separately. 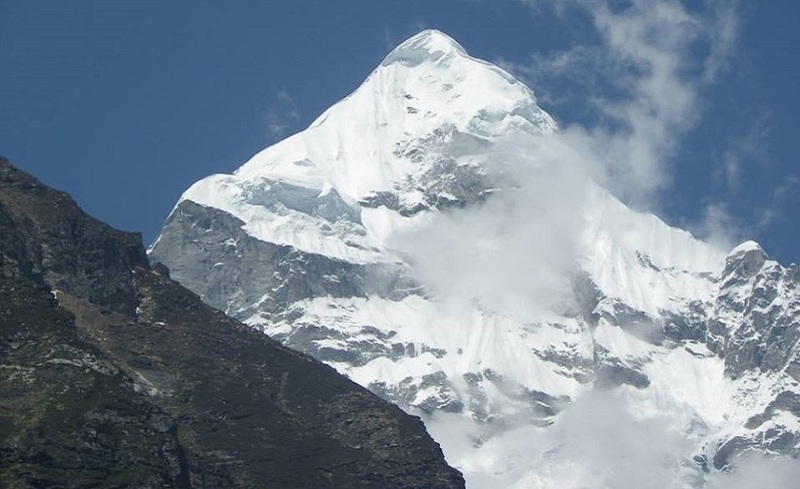 Located at a very less distance (around 9 km) from Badrinath this snowy peak is settled in the Chamoli district of Uttarakhand and is known as the best trekking destinations in Uttarakhand. This pyramidal shape peak receives the first rays of the sun which makes the entire valley look glimmer. The peak is renowned as Queen of Garhwal as it is completely covered with snow and is located at an elevation of 6597 metres. The peak is surrounded by Satopanth glacier on the north-west side of the Neelkanth. Panpatia glacier on the southwest side and is surrounded by Khirao Ganga on the south of the Neelkanth Peak. 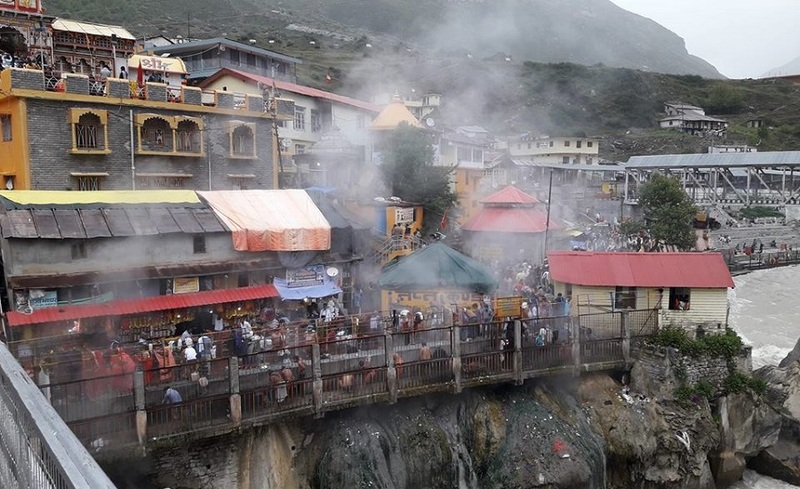 Located at a distance of 1 km only from the bus stand of Badrinath there is a natural hot water spring located on the Alaknanda River banks where pilgrims take a dip before entering the temple to pay the homage to Lord Badri at Badrinath shrine. The Kund is dedicated to God Agni and so holds the hot water. The water of the Kund holds medicinal values and is used for curing several ailments. The hotness of water holds a mystery as the weather of the place is cold then how is it possible to have so hot water in every season. There is a belief that the deity of Lord Vishnu was discovered by Adi Shankaracharya in the Narad Kund which is settled below the hot Tapt Kund. It is a group of four peaks lying in the Saraswati mountain range of Garhwal Himalayas. It is located at a trekking distance of 8 km from the Satopanth Lake and is considered as one of the best trekking spots of Uttarakhand. Out of all 4 peaks, Swargarohini 1 draws most of the attention of the tourists. The trekking of this peak is quite difficult as compared to other treks of Uttarakhand and is the trek contains enchanting views of the rocky hills which makes the trek exhausting and you must need a local guide for the complete trekking. One can spot many caves on the way which they can acquire as their night shelter. This auspicious journey is to be scheduled after looking at the best weather when the shrines are opened so that you can visit all spiritual and the admirable places. Do not depend completely upon your phones only for the guidance as the network doesn’t work at every place during your spell bounding journey. 30 Of The Least Populated Countries You Have To Visit!